For us, a work light needs to fulfill three needs. The light needs to be a blazing, bright white to light up the intended area. As “some” of us age, those puny D cell flashlights with a simple filament bulb just don’t do the trick. Next, it has to easily direct the light to the intended target. Nothing is more frustrating while trying to loosen some stubborn bolts, than to have the light start to slip away like a Western sunset. Finally the battery needs to last while we are working on our project, which always seems to take longer than expected. Fortunately the Rechargeable Pod Light from MYCHANIC met all those needs and then some! We previously checked out MYCHANIC’s Blade Light, so we were anxious to check out their latest offering. 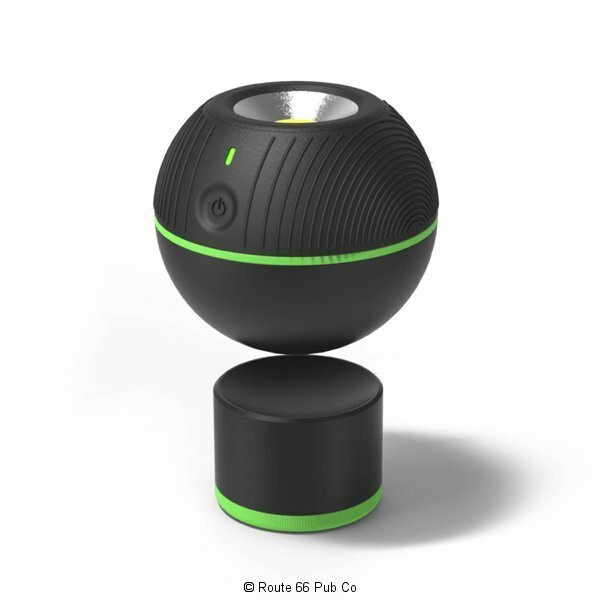 The Rechargeable Pod Light is a two piece light system; consisting of a spherical ball with a flat face housing the LED light. It mates to a magnetic rubberized base so the light can swivel and be directed to where you need the light. Of course it comes with a small AC charger when the time comes to recharge the lithium ion battery. The Rechargeable Pod Light has two light modes; full intensity and a battery conserving, low power mode. The light source is a state of the art, LED Chip on Board (COB). Instead of singular LED points of light that you might be familiar with, the COB enabled light creates a larger field of light and in this case a brighter white along the Kelvin scale. You literally cannot look directly into the light source. Despite the light strength, the Li-ion battery is rated at 4.5 hours at full intensity and over 9 hours at the dimmer setting. That’s enough time for most work days! Like all the MYCHANIC items, they splash some Kelly Green on the Rechargeable Pod Light so it is easy to see on a cluttered workspace. The rubberized base allows you to place the item on a vehicle without fear of scratching the paint. 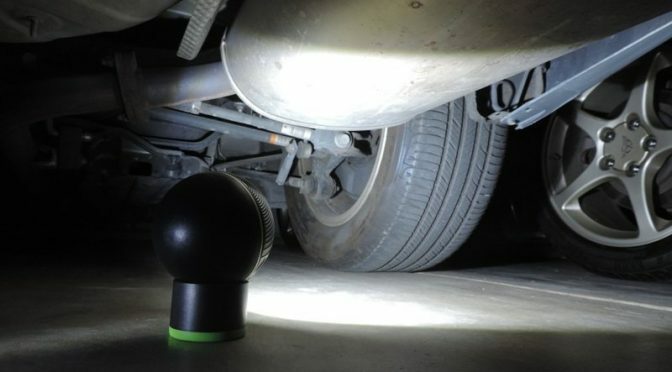 Plus the light sphere has a nice ruggedized feel to it and is made with ABS plastic, to help absorb the bumps and drops most work lights will suffer. The MYCHANIC light comes with a one year warranty. Although the packaging indicates the light puts out 300 lumens, recent testing came back showing it is rated for 400 lumens according to the company. The magnetic field in the base is strong enough to securely hold the Rechargeable Pod Light. We were even able to attach it to just a fiberglass hood’s metal latch and it held on just fine. We appreciate the company including the cable and charger for the Rechargeable Pod Light, so no need to track down an obscure cable or charger to keep the Rechargeable Pod Light at full strength. Perhaps the best advantage to the Rechargeable Pod Light is the low profile. Measuring at four inches (including the base) the light easily can fit where you need it including under some low slung suspensions. Check out the entire lineup of awesome tools and lights at www.mychanic.com and you’ll find some great tools to make your workday go by faster and easier. The Rechargeable Pod Light offers a great work light in a small, compact package that will often come in handy. We also loved their mechanics stool. Some photos courtesy of MYCHANIC.